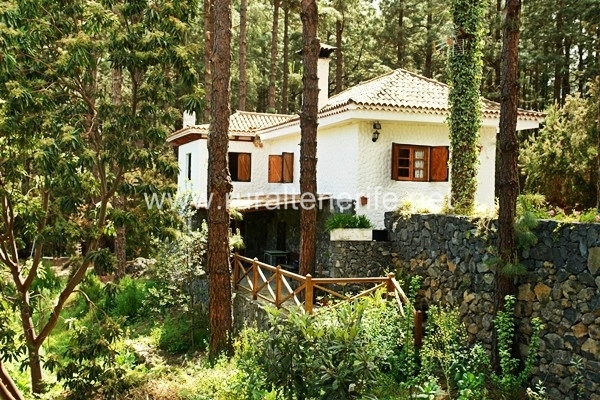 This holiday cottage in Tenerife North is surrounded by pines, making relaxation and tranquility acquire new meaning. The only sounds you hear in this beautiful place will be the sound of the pines moving in the wind and bird singing. 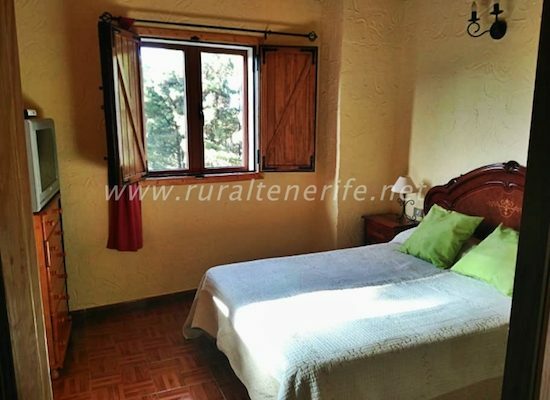 Our rural accommodation in Tenerife was built in a traditional Canary style, with everything you need to spend a few days off. 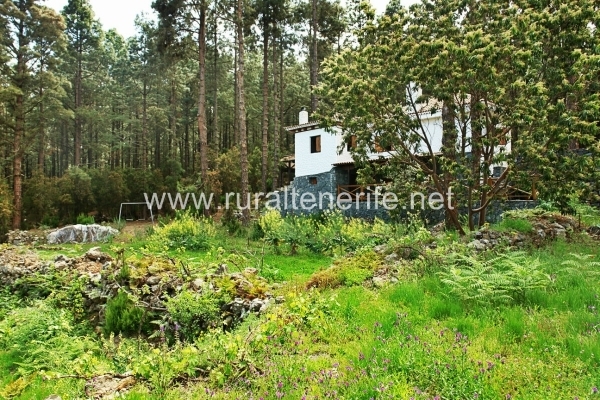 This country house in Tenerife is based in a middle of a forest where you could relax and enjoy doing hiking. 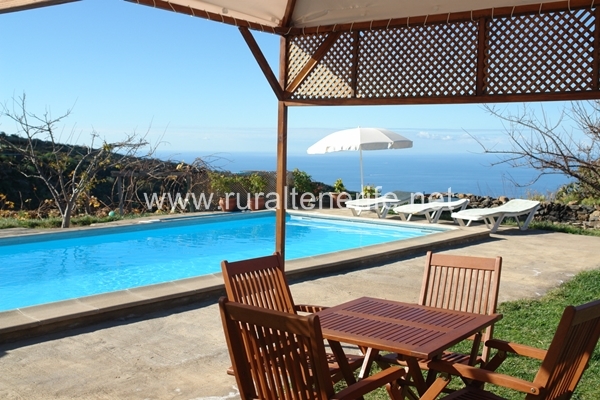 This holiday cottage in Tenerife is close to the famous Playa San Marcos. 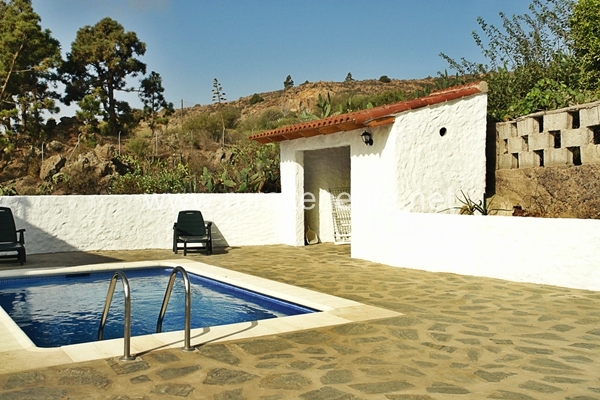 This holiday cottage in Tenerife North was built in a traditional Canary style, with everything you need to spend a few days off relaxing with your close ones. 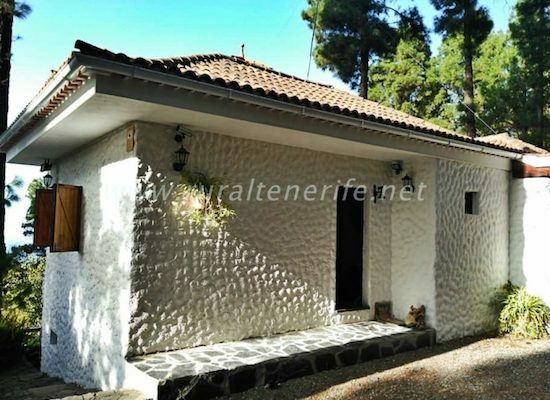 Near the house you can visit interesting towns like Icod, or go hiking areas in close proximity, such as “El Pinar” Water Route La Guancha, or the spectacular Barranco de Ruiz. 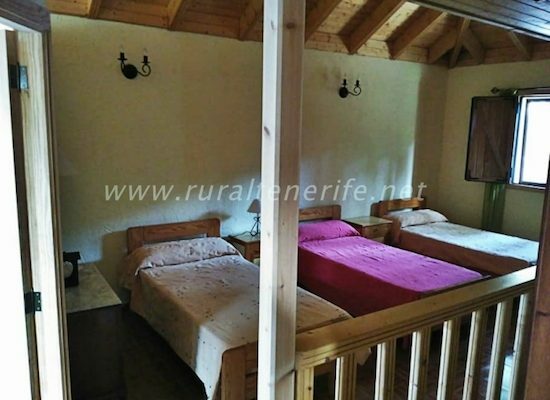 It has a kitchen with large barbecue, lounge and compartmentalized room with 1 double bed and three twin beds. 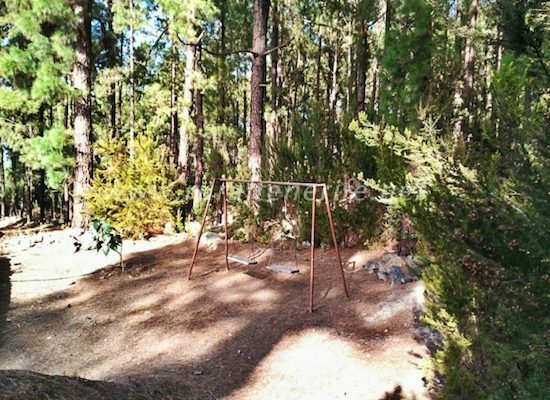 Outside there is playground with swings for children and wooden tables. 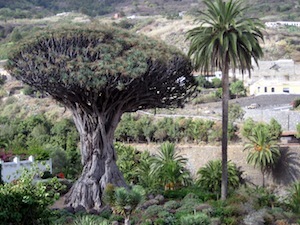 Icod de los Vinos is the land of the thousands of years old Drago trees, the symbol of the native Guanches that used parts of it for medicinal purposes. Located in an area rich in water, the village has a very good soil for wine culture that has been fundamental in the development of Icod de los Vinos. 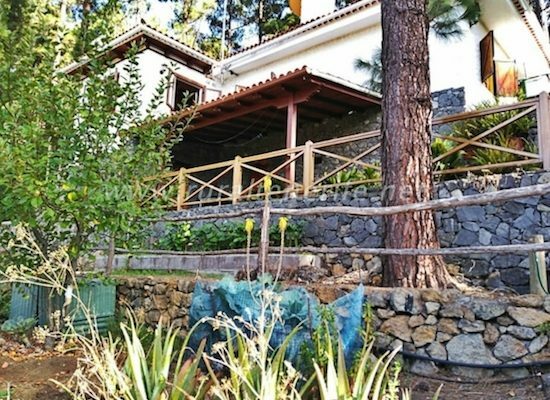 The entire village looks like an open-air museum, with palm trees and rural houses, plus a great perspective of the magnificent Teide. The main features of the ocean shore part of Icod de los Vinos are the cliffs that cover almost all its length, secluding small fishermen beaches like San Marcos. Icod de los Vinos has a rich tradition of local folk festivities, some related to typical products like wine or chestnuts. 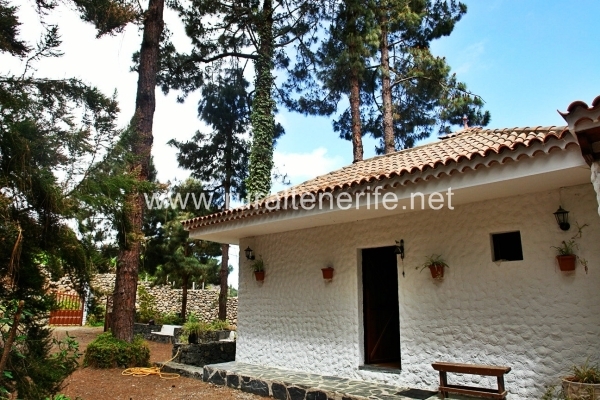 In the village are many ‘guachinches’ restaurants where you can taste the best wines of Tenerife. Pets: consult (+ 20 €).